Roses can truly add color, elegance, warmth, and richness to any kind of setting or occasion. They are also widely available. Almost all florists and gift shops give you instant access to these lovely flowers. But it takes a special person to want to grow your own roses. However, there's a unique sense of fulfillment in growing and cultivating roses yourself. 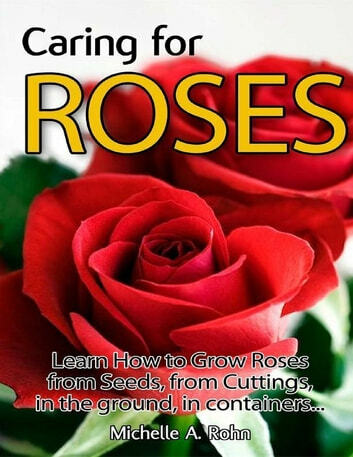 This book will teach you not only how to prune, cut, water, and feed your roses, but also give you proper advice on the best ways to grow them from seeds, small shrubs, and even from a bouquet. Best of all, it will teach you how to grow healthy roses no matter how small or large your space is. 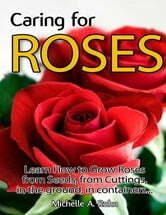 By using this book you will learn to: Chapter 1: Preparation Chapter 2: Methods of Growing Roses Chapter 3: Growing Roses in a Garden Chapter 4: Growing Roses in Apartments Chapter 5: Keeping Roses Healthy Chapter 6: Controlling Common Rose Diseases Chapter 7: Maintaining Your Roses And Much More Enjoy Reading!